Born in Buenos Aires, Intiche is currently based in Berlin, Germany. His passion for music began from the early age of four, he began playing acoustic instruments. At age 12, he began to combine these instruments with electronic music. After countless journeys through South America, Africa and Europe, he set up his studio in Berlin to dive into the world of the electronic music scene to develop his own unique style of organic electronic music. The music of Intiche is a deep fusion of natural organic sounds, traditional instruments and music inspired from various ancient cultures from around the world combined with minimal, trance, tribal and electronic downtempo beats. 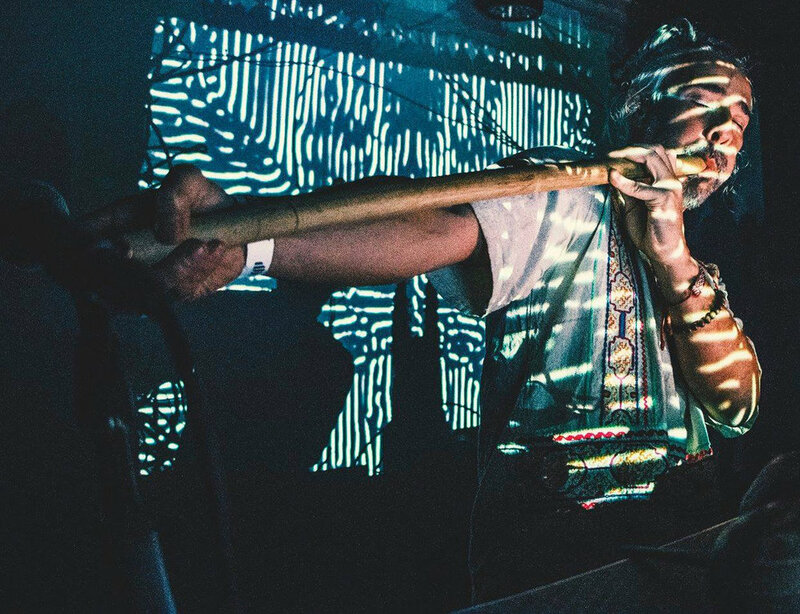 His sound transports you into the heart of jungle, over the mountain, across the seas, flying through space and back as we stomp on the grounds of the Pacha mama soil together and shake the spirits to the bones. It serves as a messenger for people to connect deeply with themselves, each other and with our planet through the magic of music, frequencies and vibrations. Intiche has played an extensive number of gigs around the world - From music festivals (such as Ozora, Fusion Festival), ecstatic dances (in Berlin, Brussels, Antwerp) , ceremonies, sound journeys, healing gatherings (Bali Spirit Festival) to indoor clubs (Kater Blau, Berghain Kantine).